This article will help current HubSpot users get better insight from the sources reporting tool. As a user of the HubSpot marketing automation software, you're probably managing your inbound marketing campaign with the tool almost entirely. You're also probably aware of two things. Don’t worry, you’re not alone. You probably have a lot of other job responsibilities too so it’s hard to keep up with all of the great features and capabilities it possesses. 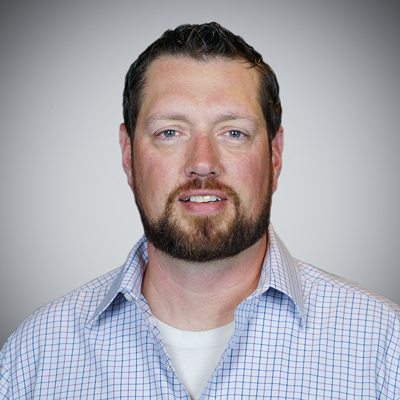 It’s a full-time job for one person to manage a campaign inside your software portal, and then some. As the owner of an inbound marketing agency, I’m convinced it’s really a job for a team of people, that’s why we dedicate 4-6 different experts to each campaign we manage. Because you probably aren’t going to have a team like ours at your disposal anytime soon I’d like to help you get more out of the tools you already own. I believe you’ll get more out of the software after reading this article, but more importantly you’ll get more out of your campaign. 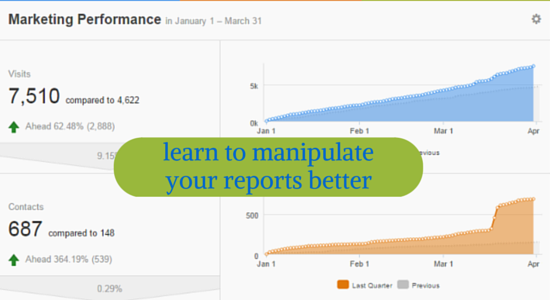 Because results matter above all else, you’ll benefit from mastering your reporting options. The ability to adjust the time frame you’re measuring is critical. I suggest choosing the final option for rolling date range. By choosing this option you’ll be able to see how your campaign is performing over a relevant period of time. If you want to know if the actions you’re taking are actually building results a 12-month rolling period should work nicely. Tip: If you’re not seeing an upward trend line it’s likely that whatever you’ve been trying just hasn’t taken hold. It’s a great way to demonstrate big picture performance to others in the organization less familiar with all of your efforts. Tip: Choosing traffic and contacts will provide insight into how well your actions have been developing opportunities. Switching to customers will show you the month each eventual client originated in your system (not when they actually signed the line). Now it’s time to start analyzing the data you’ve selected. Tip: for the data included in the figure above email is the lowest visit to contact rate and other campaigns is the highest. 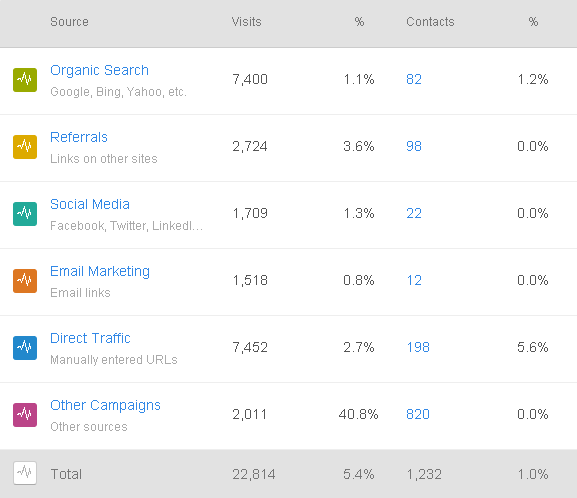 Organic traffic was barely beat out by direct traffic for the largest share of traffic contribution and other campaigns are crushing everything else combined for contact creation. In this instance, I chose to drill into referral traffic. 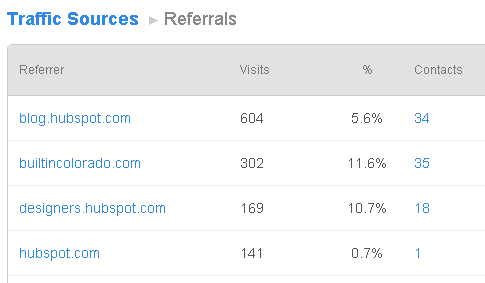 I wanted to know what sites are driving the most traffic and leads to our marketing website. The view represents the first 4 results by traffic. Tip: If you want to increase your referral traffic you might try focusing your SEO efforts on link building strategies for highly authoritative websites and blogs in your industry. In our case, HubSpot’s blogs are a great place for us to share ideas because it generates a lot of traffic and leads every time we publish a new article. Tip: Your new report can now be found from reports – reports home. 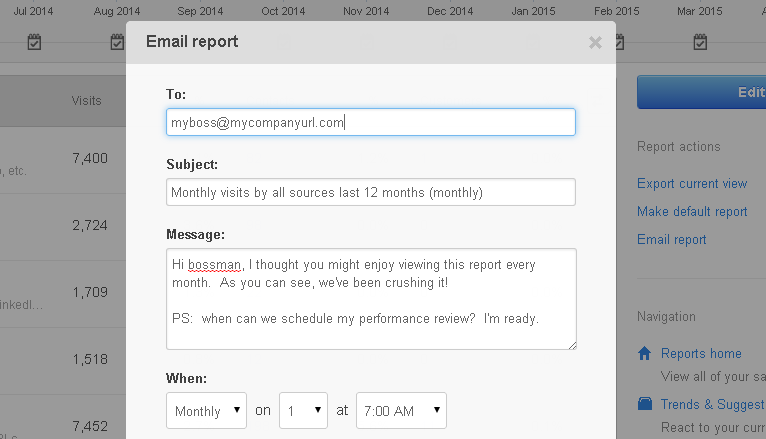 If you open it up you can choose the option to email the report to a colleague or supervisor. You can select the frequency you want to send it, automating the delivery of the report to whomever you want whenever you’d like them to have it. Hopefully, you have a better idea of how to capture more value from HubSpot and analyze the data at your fingertips a little more effectively. Remember, your efforts are ultimately only as valuable as your ability to understand and demonstrate the results you’re generating. Furthermore, if you’re able to share the good news with others on your team you’ll be more likely to win their favor and gain internal support. 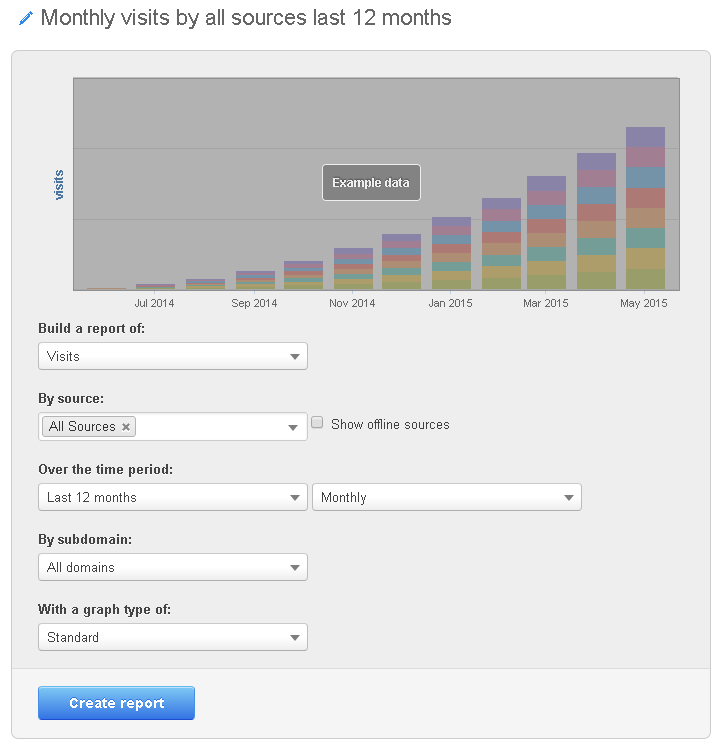 Everyone wins when efforts create results and marketers create reports to show them off! If you’re looking for more help with your campaign you should really consider subscribing to our blog. We’d love to call you one of our subscribers!